Claim: China is quietly waging a secret war on Mexico solely by trying to one-up Mexican snacks. Want proof? We’ve got it below. China’s method seems to be: 1) take the original snack and 2) encase it in something else to try to make it awesomer. Don’t think we haven’t noticed your tricks, China! I’ll leave it up to you, dear reader, to decide whether the Mexican or Chinese version comes out the winner. My first memory of eating Mexican salted plums was at a bowling alley in an Arizona town spitting distance (pun somewhat intended) from the Mexican border. Decades later and thousands of miles away, my salivary glands still react simply from the thought of how salty these puppies are. 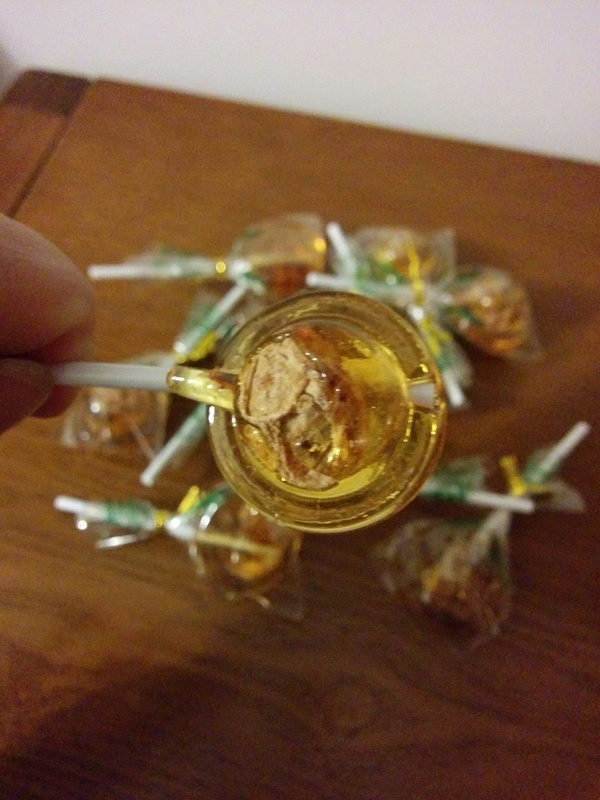 China took saladitos (granted, a less salty version) and put them smack dab in the middle of a lollipop. Now you get a dose of sweet, sour, and salty all at once. Unless you’re like me and Mr. Owl and you crunch the sweet part away. I thought there couldn’t be a more elaborate set-up for corn on the cob than elotes preparados. That cob is slathered in butter, mayo, cheese, chili powder, lime juice, and who knows what else. 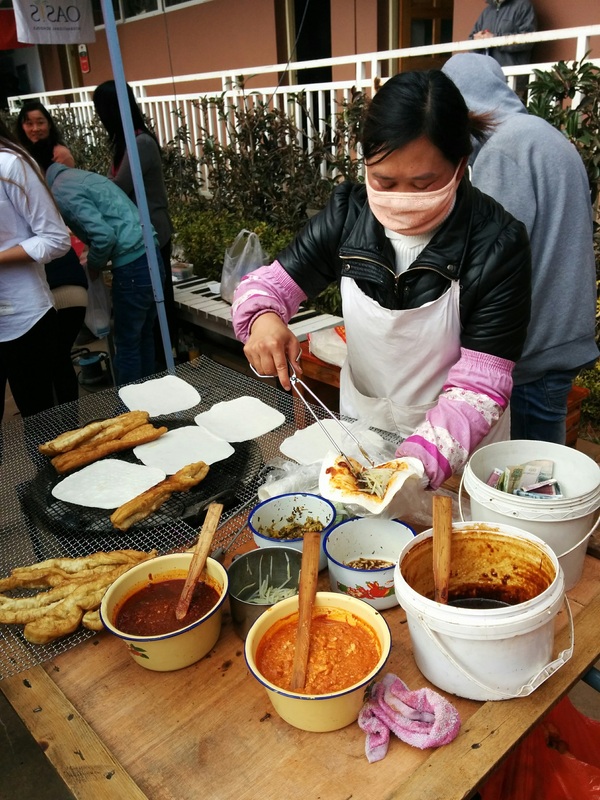 China sees Mexico’s full house of elotes, laughs and then lays this royal flush on the table. A corn cob dipped in batter and fried, then slathered in a bunch of stuff. It honestly makes me wonder if it’s Mexico or the Minnesota State Fair they are competing with. Here’s a close-up of the corn and the handwritten menu of flavor choices, which include strawberry, lemon, cumin, Chinese five spice, numbing pepper, and many more. 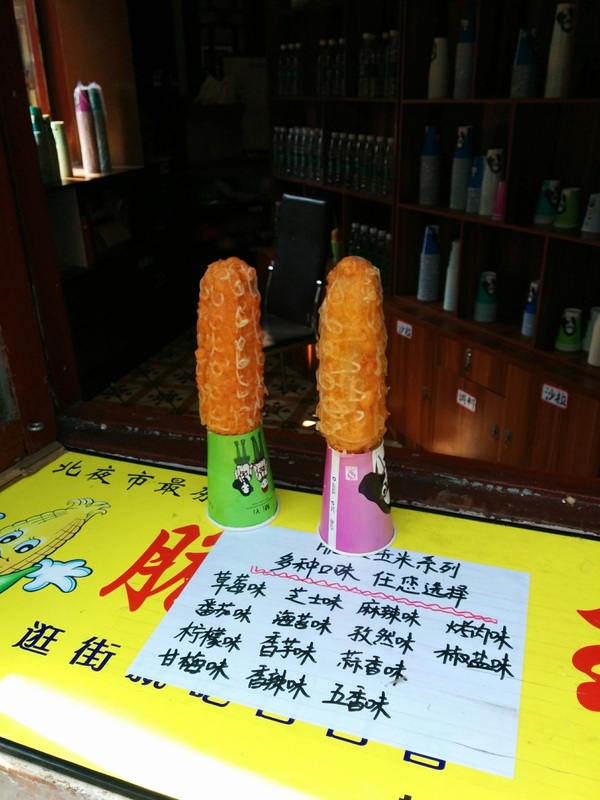 China has had their own version of a churro since before Mexico had the original. (Just keep reading fast before logic catches you on that one.) It’s called a youtiao, literally ‘oil stick’, and is super popular for breakfast. Rather than having cinnamon and sugar on them, youtiao are often dipped into sweetened condensed milk. If you’re going to take away my cinnamon, I guess that’s a decent enough mollification. But China doesn’t stop there. 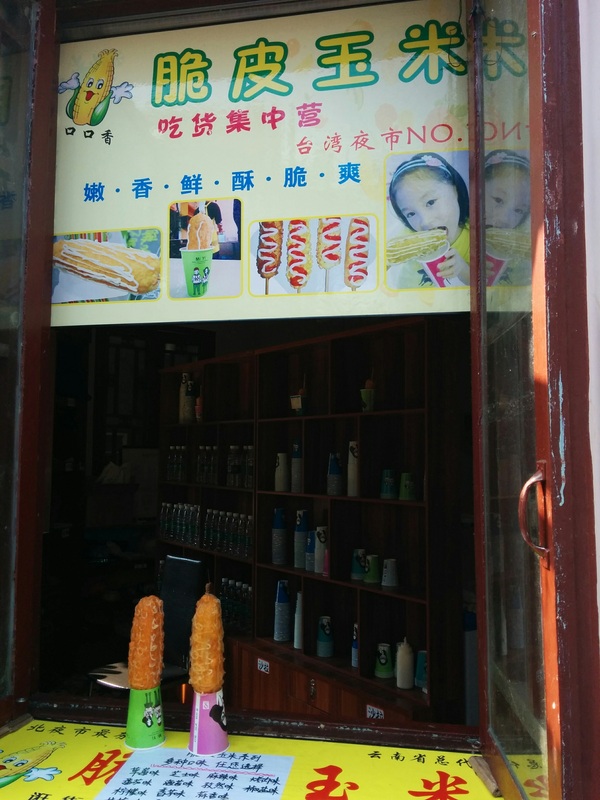 Way out in the Wild Wild West (Kunming), they take their churro and put it in the middle of…wait for it…a burrito. They use er kuai, a rice flour tortilla-like thing, in place of a flour tortilla, but still. I can’t figure out if that’s a nod to the fact that they took the churro from Mexico, or whether it’s a major slap in the face to Mexico, but there you have it. So, what do you think? Would you stick with the original Mexican versions of these, or “upgrade” to the Chinese versions? And what Mexican snack will be the next victim of the upgrading? Inquiring minds want to know. Sorry, Americans. No Mooncakes for You. NO WAY. They have Bimbo in China?!? We haven’t seen Bimbo stuff here, so either it hasn’t made it out to Guangxi and Yunnan or we just don’t know where to look. I’ll keep an eye out after this summer (or, yes, for the next 10 years) to see if they appear here.